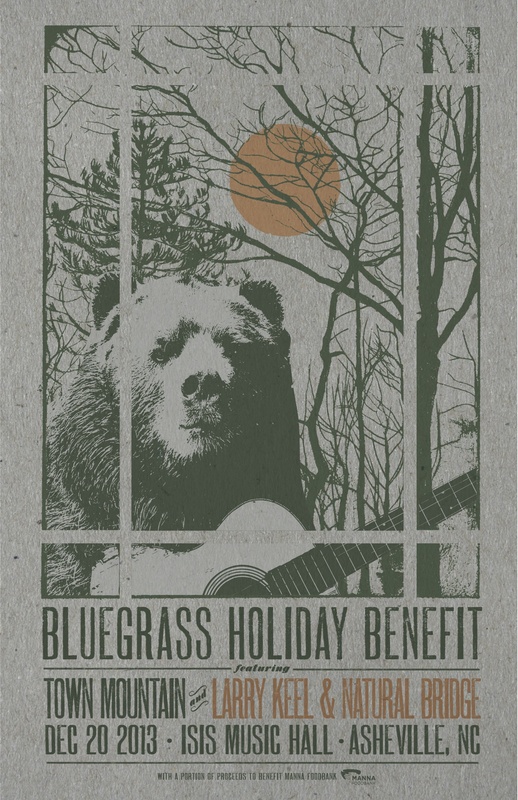 As 2013 comes to a close, Town Mountain is excited to be joining forces with Larry Keel and Natural Bridge at Isis Music Hall on Friday, December 20, 2013 for a Bluegrass Holiday Benefit. A portion of the night’s proceeds will be donated to Manna Foodbank. In Western North Carolina, more than 100,000 people seek emergency food assistance in a single year – that’s 1 in 6 of our neighbors. Of these, 37,000 are children. Local direct service agencies are facing a rapid increase in request for food assistance as food stamp benefits have recently been cut for many local families. Food banks and other non profits cannot close this food stamp gap without help. These types of events take on more importance as hard working families struggle to make ends meet. 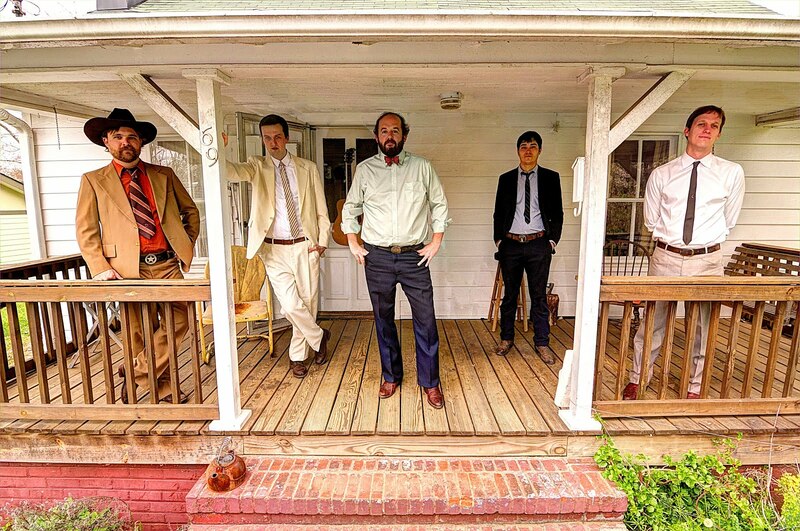 Town Mountain and their lead vocalist, Robert Greer, are honored to have been awarded two 2013 International Bluegrass Music Association (IBMA) Momentum Awards. Greer brought home the Momentum Award for “Vocalist of the Year” and Town Mountain takes the honor for “Performance Band of the Year.” The awards cap off a year of fantastic growth for the band which began with the release of their sophomore Pinecastle Records album, Leave the Bottle. 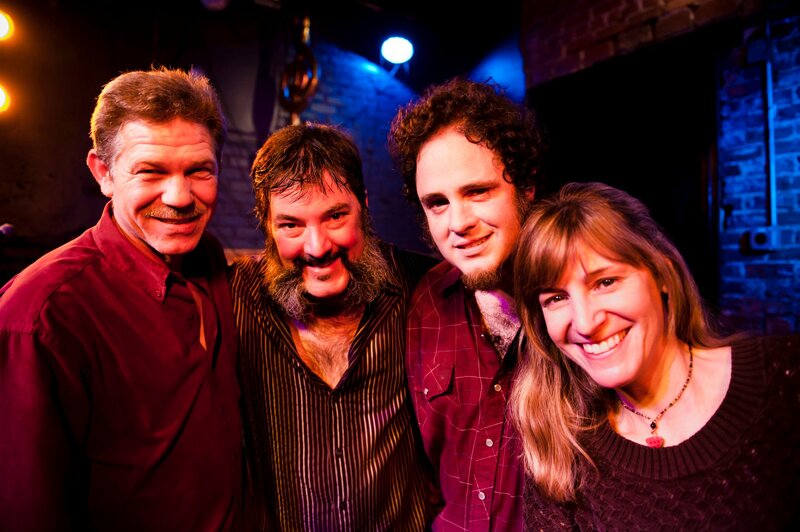 The sound of Town Mountain can be described as traditional bluegrass, albeit with a rough-hewn side to it that is not too slick or glossy. 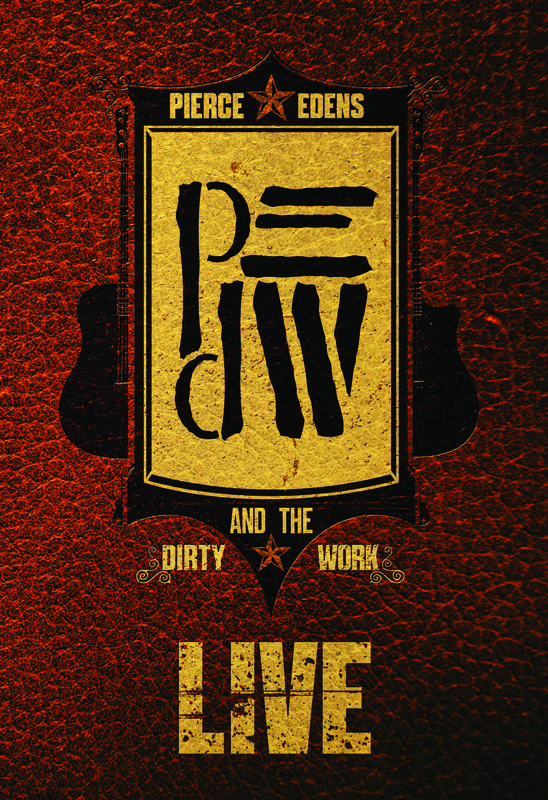 They are definitely a band of the here-and-now, yet they have a groove that is based on the bluesy and swinging sounds made by the first generation of bluegrass pioneers. 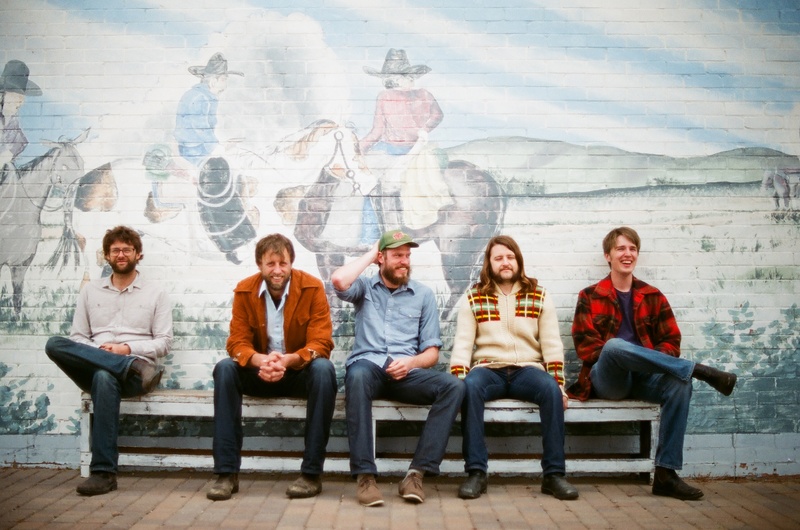 Town Mountain will release a new album in 2014 and will ride the wave of their newfound momentum with appearances at many venues and festivals around the country as the new year unfolds. More information and tour dates can be found at www.townmountain.net. Larry Keel is described by some reviewers as the most powerful, innovative and all-out exhilarating acoustic flatpicking guitarist performing today. Keel has absorbed the best lessons from his Bluegrass family upbringing, both sides deeply steeped in the rich mountain music culture and heritage of Southwest Virginia. From there, he has always integrated that solid musical grounding and natural-born talent with his own incomparable approach to flatpicking the guitar and composing original music. He’s also got a knack for choosing interesting and appealing material from all realms of music with guts, whether it’s a tune written by a fellow song-writer/musician friend, or a tasty cover from any number of genres all over the map. Joining Keel to make up Natural Bridge are the vastly talented Mark Schimick on mandolin and vocals, Larry’s life-long picker pal (and fishing phenom) Will Lee on soulful, blues-grass style 5-string banjo and penetrating lead vocals, and wife Jenny Keel with her impeccable timing and solid, yet imaginative bass lines as well as tenor vocal harmonies. Throughout his career, Keel has released 14 albums and is featured on 10 others. The most recent release, CLASSIC (2012) is the 3rd album recorded by Keel and his powerhouse ensemble, Natural Bridge. The project is filled with originals written variously by Keel, the band members or by musician/song-writer friends. For more about Larry Keel and Natural Bridge, please visit www.LarryKeel.com. Donna the Buffalo will be celebrating the New year at Skipper’s Smokehouse in Tampa, then head over to the Green Parrot in Key West for three nights, before landing in Deland to play Cafe Davinci. Donna the Buffalo is excited to team up with Rusted Root (who just released a new album “The Movement”) for six shows in January. The tour starts in Charlotte, moves along to Charleston, Englewood (NJ), Kent, Columbus and ends in Chicago. Donna will also be playing shows in Charlottesville and Asheville. Directed by Craig Aspen, of The Believers, “Working On That” by Donna the Buffalo features world champion hoop dancer Moontee Sinquah and his sons Sampson and Scott and was filmed in Nashville, TN and Trumansburg, NY. Though the hoop dance is a story-telling dance, it serves more than an entertainment purpose. The hoops themselves (which are hand-made by the artists themselves out of thin piping and colorful tape and ribbons) symbolize the great circle of life, an important concept in most Native American traditions, and most earth-based religious traditions around the world. The hoop dance is also a dance of healing, and is believed to have originated with medicine men, who would pass the hoops over a patient to identify a disease, and then pass them over themselves to cure it. 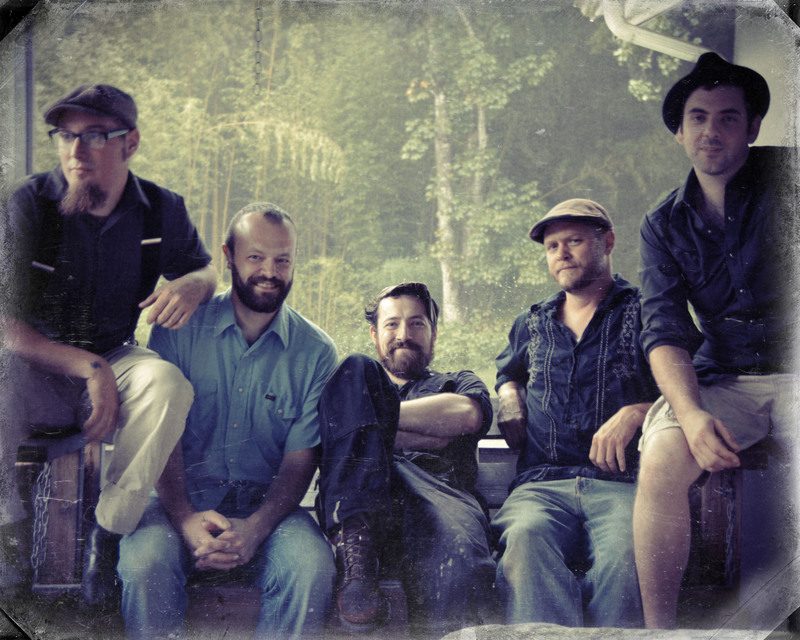 “Working On That” is their second video from, Tonight, Tomorrow and Yesterday [Sugar Hill Records], which is the group’s 10th studio album and proves the band as a consistent steward of Americana music, with their signature sound of traditional mountain music infused with elements of Cajun, rock, folk, reggae and country in an eclectic and extraordinary melting pot of such. 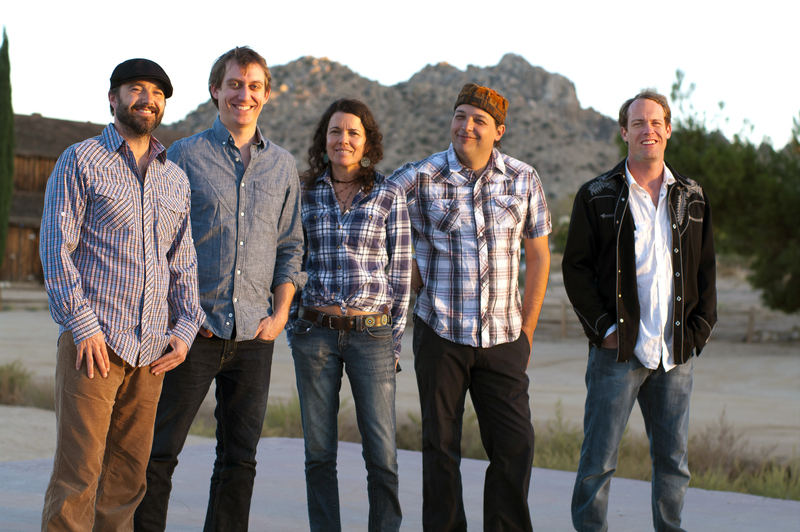 Donna the Buffalo is founding members and songwriter-vocalists Jeb Puryear (vocals, guitar) and Tara Nevins (vocals, guitar, fiddle, accordion, scrubboard) along with David McCracken (Hammond organ, clavinet), Kyle Spark (bass) and Mark Raudabaugh (drums). For more information about Donna the Buffalo, please visit www.donnathebuffalo.com. Leftover Salmon is thrilled to welcome special guest Bill Payne (of Little Feat) to their Thanksgiving shows at the Boulder Theater and to the New Year’s shows at Park City Live in Utah and the Neptune Theatre in Seattle, WA. Fruition will also join the festivities in Seattle. Leftover Salmon is looking forward to these holiday shows and playing the new tunes they released through Breckenridge Brewery this year. 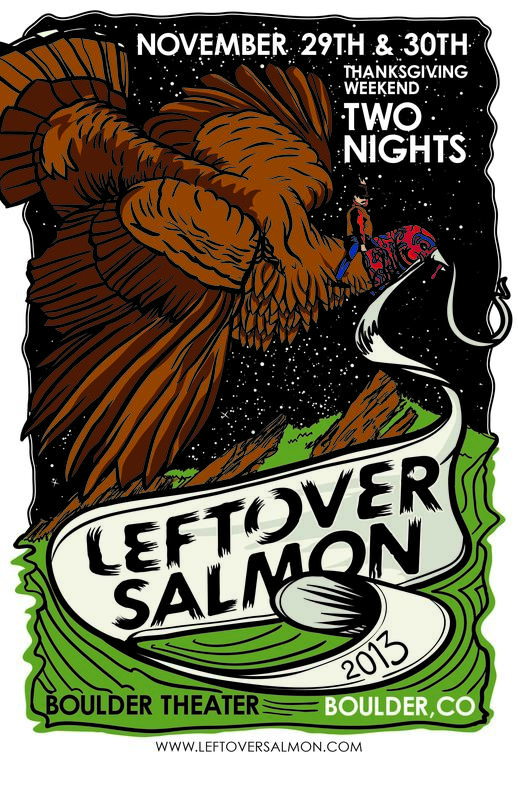 Leftover Salmon emerged on the scene in Boulder, CO in 1989 as one of the first bluegrass bands to add drums and tour rock & roll bars, helping Salmon become a pillar of the jam band scene and unwitting architects of the jam grass genre. “This is one fish that has only gotten better with age. Fiery solos and elements of country, bluegrass, jazz and jam rock combine into a heady mix of feel-good tunes — and some that carry a hefty message, as well,” said CMT. 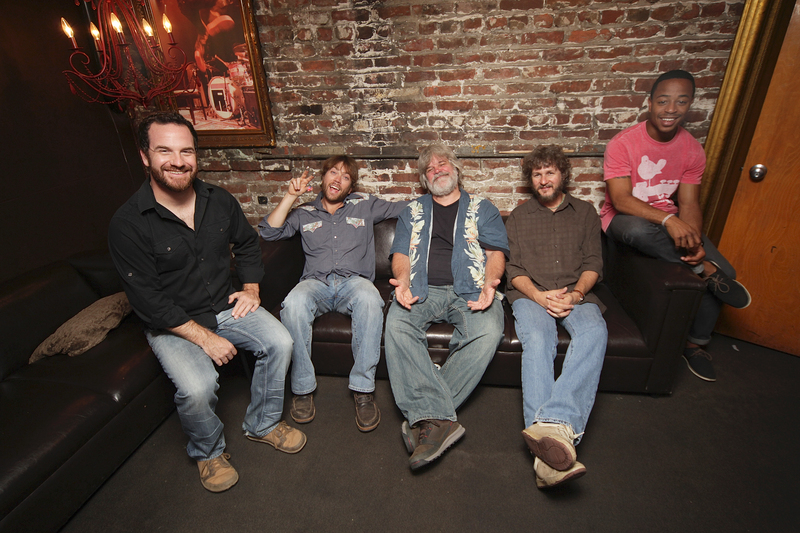 Today, Leftover Salmon is: Vince Herman (vocals, acoustic and electric guitar, mandolin); Drew Emmitt (vocals, mandolin, acoustic and electric guitar, mandola, fiddle); Andy Thorn (vocals, acoustic and electric banjo, National guitar); Greg Garrison (vocals, acoustic and electric bass, acoustic guitar); Alwyn Robinson (drums, percussion).